Neil Armstrong, the first man to walk on the moon, passed away this weekend at age 82. Many have asked if Armstrong took with him the secrets of what really happened during the famed 1969 Lunar Landing. Well, yes- and no. Over the years, I have gotten to know a number of astronauts- and very close family members and friends of astronauts. As you may recall, my uncle was the senior project engineer for Grumman (now Northrop Grumman) that built the Lunar Module, that landed on the moon in July of 1969. The truth of that historic event has never been told. We did go to the moon- but the events that transpired were kept secret and officially remain secret to this day. By the time we landed on the moon, the Lunar Orbiter had mapped the moon and imaged ancient as well as more recent structures on the moon. This has been confirmed by more than one DisclosureProject.org witness. So by the time we landed, the military and intelligence community- and a small compartment of operatives at NASA- knew that we may in fact encounter something very unusual there. 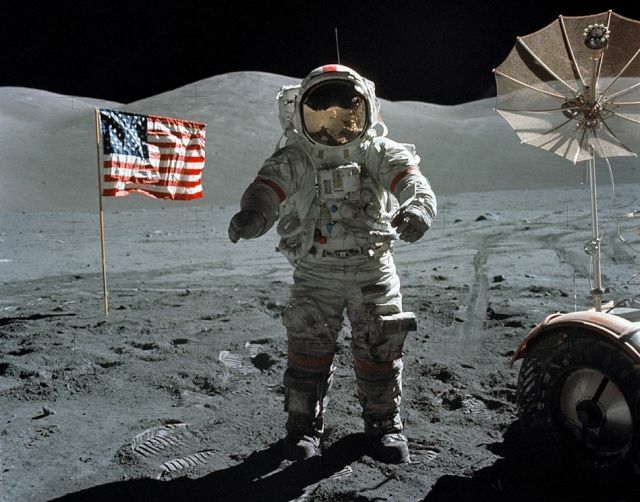 To prepare for this possibility, there was a time delay from the Lunar Module via an NSA (National Security Agency) uplink and other, alternative film footage was prepared to be shown in the event of something really unusual happening. Neil Armstrong became somewhat of a recluse after the moon landing, and rarely spoke of the historic event. His friends and family have told me that this is because he was a man of such integrity that he simply did not want to be put in a position to lie to the public about such a momentous encounter. How tragic that our heroes have been placed in this untenable situation! When we were organizing The Disclosure Project a few years ago, I asked one of Neil Armstrong’s friends if Armstrong would come to Washington to brief members of Congress at the 1997 Congressional briefing we organized in April of that year. I was told that Armstrong wished he could –but that if he spoke about what really happened during the moon landing, that Neil Armstrong, his wife, and children would all be killed. It was put to me this bluntly. I found this to be unbelievable at the time, but since then have found that such threats and bullying by the over-reaching national security state is routine. A very senior scientist at the Naval Research Labs in Washington DC recently told me and the Disclosure Project team that if he spoke about some of the information he knew, that he, his wife, his children and grandchildren would all be killed. This is no joke – and not a conspiracy theory. This is the way the highly secretive and fascist bosses in the deep black national security state operate. They make the Mafia look like choir boys. In the meanwhile, we continue to applaud those courageous men and women who come forward, speak the truth and move Disclosure forward. The world deserves to know that we are not alone, that intelligent life exists in the universe beyond earth and that we have amazing new sciences and technologies that urgently need to be disclosed. This knowledge will give us a new civilization on earth, without poverty or pollution- and with justice for all. When did the religion, and more specifically bible come up at all in this article? This article is about sentient life OTHER than human beings. As much as Earth’s religions try and fit that into their dogma, they will fail eventually. Jesus is an answer to d world problem. No, Jesus, no soluation. Truth set u free man! The Truth about alien infiltrators and UFO's is stranger than fiction but its source is revealed in the Bible!